We get asked this question all the time. 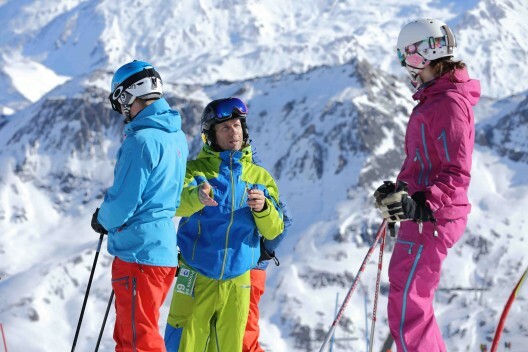 What is the difference between taking a ski course and taking ski school or lessons? Phil Smith Director of Snoworks Ski Courses explains. 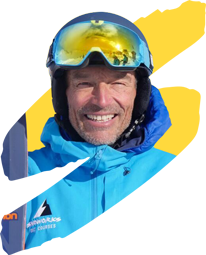 So you’re thinking about taking some kind of instruction, group lessons within a ski school, private instruction, ski guiding, joining a hosting programme or booking onto a ski course. So how do you begin to make sense of all that’s on offer? To begin with it’s useful to look at the difference between instruction and coaching then that will help you to understand what it is you need. In most sports the person giving the instructing normally has a title such as a coach or an instructor. Coaches and Instructors do different jobs. There are also different qualifications for the two. But an instructor can coach and a coach can instruct. So it’s more about the process rather than the qualification or title. In a nutshell instruction is short and generally specific. It’s about doing a task now. Coaching is about taking a journey, it’s a longer process. So often coaching and instructing are associated with the client and what they need. Many people join clubs which they attend regularly. They develop a long relationship with the coach. The coach gets to know them and joins them on a journey in their chosen activity. They often go to competitions together, plan and discuss many of the other aspects of the sport such as nutrition and fitness for example rather than just the technical aspects. Instructors are often dealing with short term goals. People may not have the time available and want some instruction quickly, a lesson, a tip. Often the coach and instructor are involved in both. A golf pro for example will work week in and week out coaching the local kids whilst also giving instruction on an ad hoc basis to others for short term periods. Ski Schools are mostly involved with short term instruction but not always. They cater predominantly for skiers on holiday. They may only see the skiers this one time only, so lessons are normally short, there’s not much time. Lessons are either privates for just a day or a couple of hours or a course over the week of say 2 hours per day. Normally the relationship between the instructor and client is just on the snow for the time period lessons have been booked for. But this is not always the case. Sometime instructors from ski schools are booked regularly and over longer periods so the instructor develops a longer relationship with the client taking them on a journey. So in this scenario it’s more about coaching. Ski Courses often attract skiers who may be interested in taking a journey. They may come back time and time again and develop a relationship with the person teaching/coaching them. They may have longer term goals. The course is over the whole week either half days or full days rather than the odd day or couple of hours. There is often contact time off the slope. Video sessions, chats, lectures, sourcing ski equipment etc. So the whole ethos is about taking a journey. It’s more about the process rather than a ski school or ski course, an instructor or coach. So it depends on the clients needs and the time available to dedicate towards improving and exploring the mountains. The first thing you need to decide is what are your needs? If you wish to improve how much time do you wish to dedicate to this? Then you need to find someone or an organisation that can meet your needs. Whether it is a ski school, ski course, an instructor or coach. It’s all about matching your needs with the service provider. To see the full listing of Snoworks Ski Courses click here.